At the Dutch Blockchain Conference Ethereum founder Gavin Wood gave a presentation on the hack of the DAO smart contract which happened last week. He describes how the hack of the smart contract, unrelated to Ethereum, happend and what the options are of the community in the next 30 days. On June 18th an attacker began exploiting a vulnerability in the code of The DAO to siphon off invested funds using a bug that went unnoticed because smart contract coding is such a new discipline, which was even missed by a professional security audit performed prior to launch. Luckily the design of The DAO has resulted in these funds being temporarily stuck in child replicas. Nonetheless, without action the attacker will eventually secure a very large amount of ETH.ETH stands for ether, the ‘fuel’ of the Ethereum network. 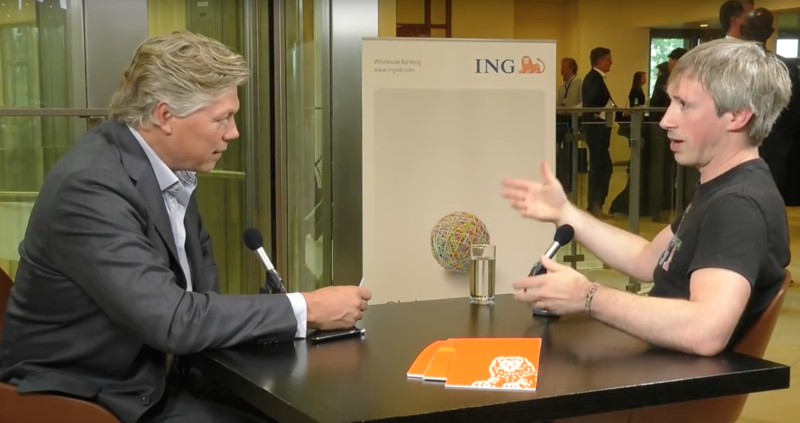 After his presentation Dutch journalist Roelof Hemmen interviewed Gavin Wood about the hack and the practical use of a DAO smart contract system.